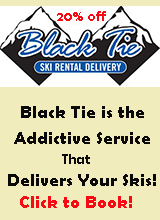 Wedding Venues in Crested Butte! 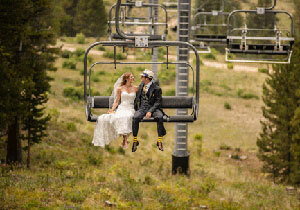 Planning a wedding in Crested Butte! Here is a great listing of some awesome options! 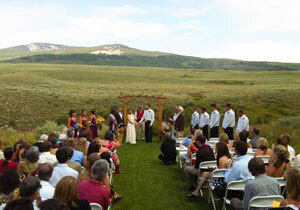 Crested Butte Land Trust owns some of the most beautiful land in Crested Butte, and they offer it for weddings. 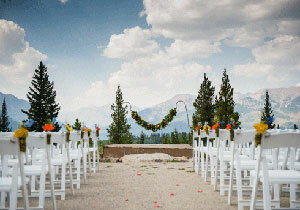 Peanut Lake, Gunsight Pass, Woods Walk,a nd the Lower Loop provide incredible veues for wedding services. Fill in their form and contact them! "Experience your special day in a unique setting, surrounded by aspens and fir trees, abundant wildflowers, magnificent peaks, winding rivers, and tranquil lakes. 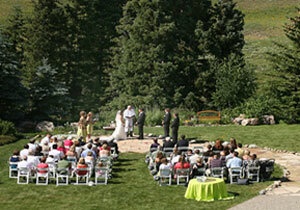 The Crested Butte Land Trust offers a special opportunity to conduct weddings on four of its stunning properties." The Mountain Wedding Garden is a beautiful garden tucked in a quiet little park in Mt. Crested Butte, Colorado and is a joint project sponsored by the Crested Butte Wildflower Festival and the town of Mt. Crested Butte. The backdrop of the Elk Mountains, hills of wildflowers and, in the fall, golden aspens is, quite simply, breathtaking .For availability, reservations, or other questions about the Mountain Wedding Garden for your wedding or event, please call Tiffany M-F, 8-5 MST at 970 349-6632 or e-mail her at toconnell@mtcrestedbutte-co.gov. In the summer and fall the ranch hosts many types of special events. Weddings and Receptions, Rehearsal dinners, Birthday parties, Class reunions and Corporate Events are a few of the most common. Large and small groups are welcome. 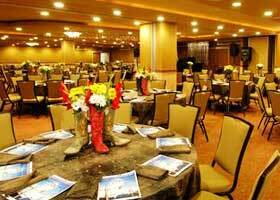 The ranch has an outdoor facility that will seat up to 150 people. Casual or formal, we can accommodate your needs. Have the outdoor Rocky Mountain Wedding of your dreams. Located at the top of the Painter Boy lift, the peak of Mt Crested Butte serves as a spectacular backdrop for your wedding ceremony and reception among fields of purple and yellow wildflowers. One of our most popular wedding venues. Get married at 10,000 ft. 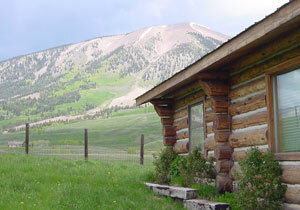 The Paradise Warming House is approximately 10,200 ft up the side of Mt Crested Butte. Your wedding and reception, held in the Warming House or on its deck will be spectacular amongst the alpine splendor of the Rocky Mountains. A ceremony can be orchestrated on the Paradise Deck using the beautiful outdoor setting as the backdrop. The newly rebuilt Uley's Restaurant at the Ice Bar provides the perfect setting for smaller, intimate gatherings. Your guests can enjoy the secluded, panoramic views on the large deck and cozy in-door atmosphere. 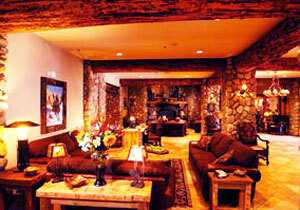 The Lodge at Mountaineer Square & Conference Center invites you to the serenity and beauty of Crested Butte. Within the Lodge lies the Mountaineer Conference Center, including the 5,000 square foot elegant Grand Ballroom, easily accommodating weddings from 20 to 400. Enjoy your cocktail hour in the expansive pre-function area next to Trackers Bar and Lounge or mingle outside on the deck. With the most advanced audio-visual technology, play a slideshow during your reception on the large built-in LCD drop-down screens. Your wedding is elevated to new heights as you experience a new level of upscale mountain-chic service at the Elevation Hotel. The Elevation Hotel has over 11,000 square feet of event space.Your wedding will be elevated to new heights as you experience the highest level of mountain service at the Elevation Hotel & Spa. With an on-site salon and spa, 262 decorator-designed and fully furnished suites, the beautiful Peaks Ballroom, and stunning views, Elevation Hotel & Spa is the definition of elegance. The Butte 66 BBQ Roadhouse is perfect for those casual, relaxed rehearsal dinners and receptions, with large windows and a spacious deck looking out on breathtaking views of Mt. Crested Butte. An inviting fireplace and built-in stage combine to give the Butte 66 BBQ Roadhouse a great environment for your event. Or tent the large deck for a more formal affair. The Woodstone Bar and Grille, located in the Grand Lodge Hotel in Mt. 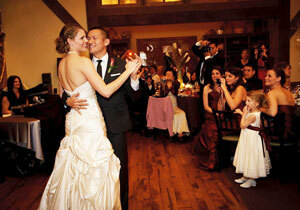 Crested Butte, offers rehearsal dinners and small receptions in a cozy dining room, the Alcove. 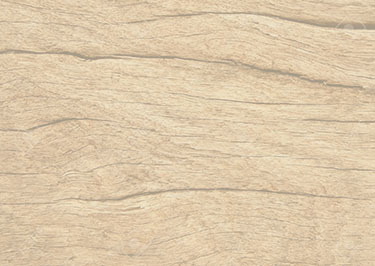 Enjoy the rustic mountain-themed atmosphere in a quaint and intimate setting.